I was a customer here for maybe 6 months. 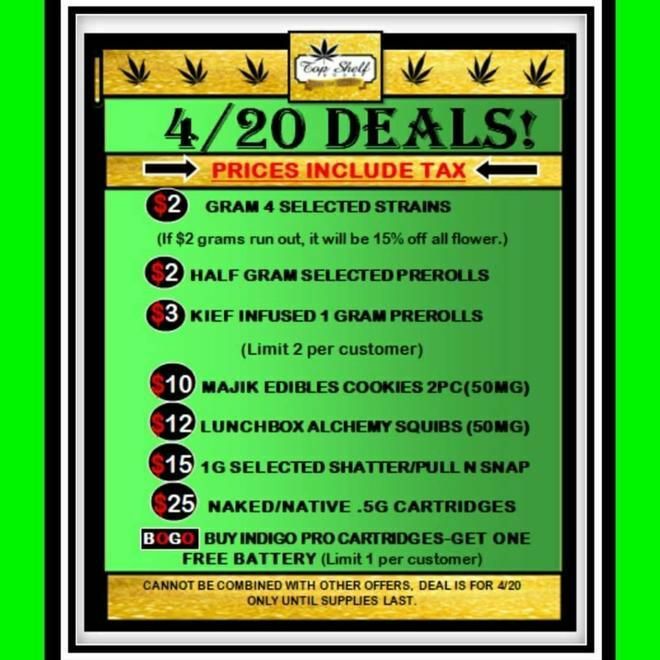 I love their prices and I enjoyed the bud tenders for the most part. I watched this place grow enormously in the 6 months I was a customer, which is great. They had/have a pretty good deal on pre-rolls. The prices on bud really cant be beat. But yet, I decided to not go here anymore. The line is often out the door and I couldn't go without spending 30+ minutes waiting. Parking is a nightmare. I mostly purchased pre-rolls, and I found the quality to be unpredictable, from the brand names to the store's own pre-rolls. About half of the joints were runners. They didn't have a good system for labeling the joints, so I just had to purchase by name and knew little about it (sativa or indica, percentage of THC). They also carried very little CBD buds and products. I left because of the lack of variety. I hate that they never have the same thing twice. It's always an experiment trying different strains, and when I find something I like I don't ever see it again. I’ve been going to top shelf since they opened about once or twice a week. They use to have a great selection and decent product for the prices. The last few times I’ve came in, the flower has been super dry and not up to the standards that I had set for their products over the past year or so. Add that to the long lines, the slim selection and the new frowning faces. I will no longer be returning. Definitely need to step up their game. Definitely check the live menu. 80% of what's listed is not on the shelves on this Leafly menu. The flower is priced low and is quality for the price. The budtender with the hand tattoo telling us he shouldn't have just took that big of a hit off is co2 pen and was way too high, was bad. Then he charged us for ten grams when we were just getting one of that strain. Again, he said he was too high. I would shop here again because of the price point. However, your employees shouldn't be high at work. Defiantly shouldn't be telling customers. super trashy but pot seemed okay. 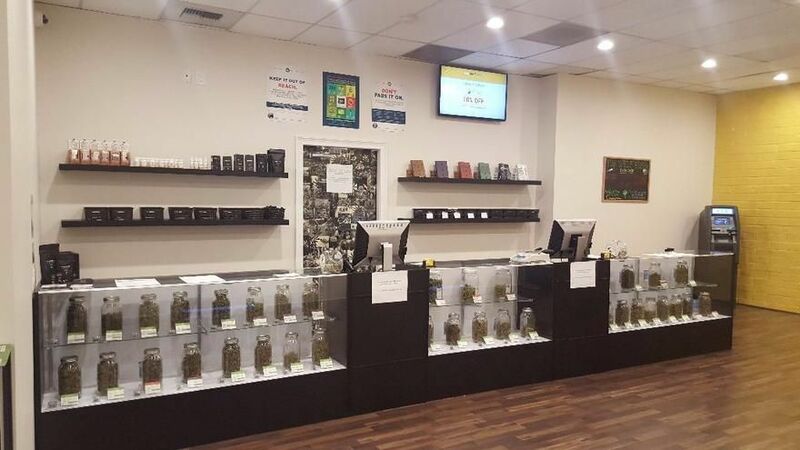 Very helpful and friendly budtenders! Great buds! Fair prices!! I will be returning here for sure!!! !